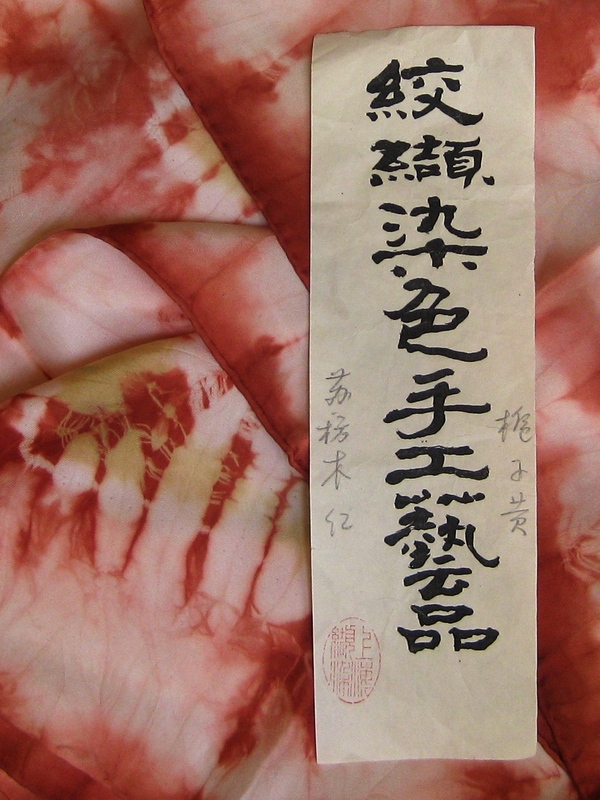 About 25 years ago, before I started Brentano, I was studying the vegetable dye color names of ancient China. This interest was first initiated by the incredible color descriptions in a classical Chinese novel depicting the lives of the aristocracy. 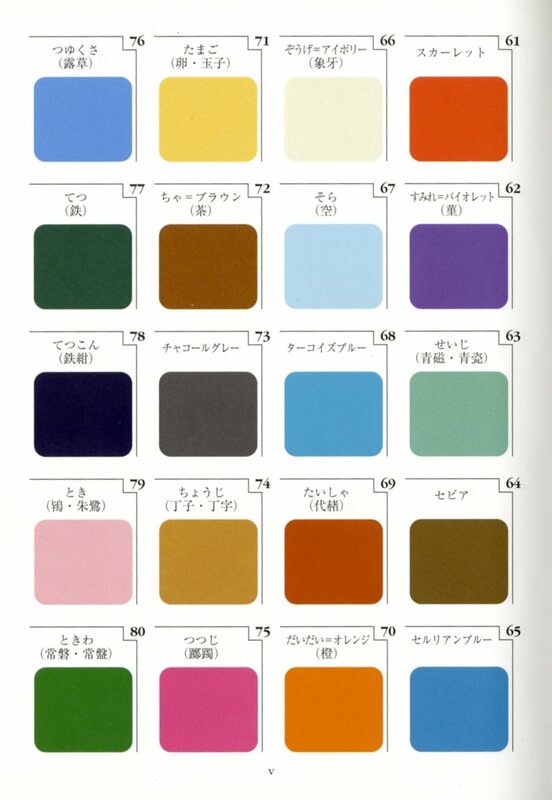 I wrote a lyrical prose piece about “color names in literature” that was published in a Chinese publication and have been hooked on the subject ever since. I wrote to a textile historian once who was a professor at the then Hwa Tung Textile Academy in Shanghai. To my surprise, he wrote me back and awarded me with many texts with old Chinese weaving references and some of their vegetable-dyed scarf samples to identify the names of the dyes that I had questioned him about in my letter—such as Su Fong, Madder and Gardenia, etc. Some of those color names were among the early product color names I used when the color inspiration derived from this lineage. 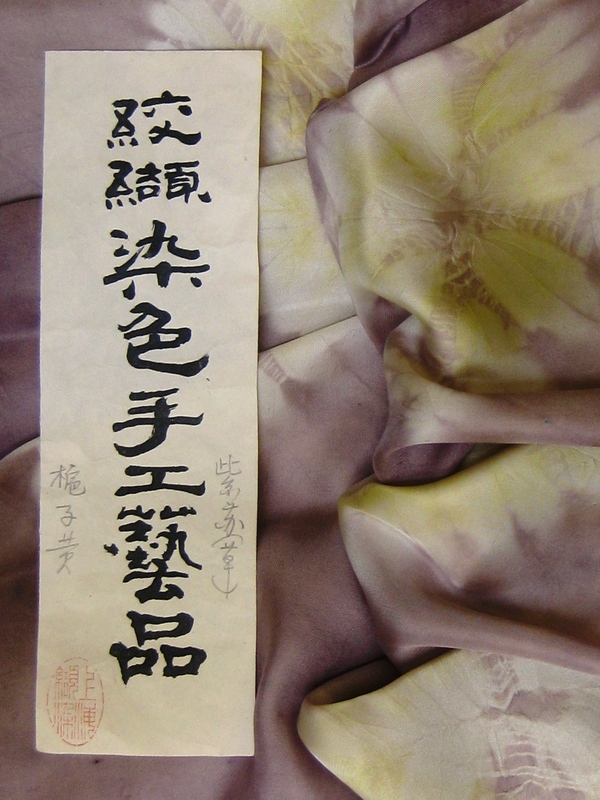 These two scarves are dyed with Shiso Leaf (lavender), Gardenia (yellow), and Su Fang Wood (red). My notes about the dyes are in pencil. Would you dry clean your sofa? For our polyurethane product, we typically recommend that clients clean it with soap and water. In a tough stain situation, the “solvent resistant finish” on our polyurethane means that rubbing alcohol or a solution of 1:5 diluted household bleach to water is also safe to use. All of these cleaning agents have been tested at Brentano and in our mill’s lab along with Windex, Murphy’s oil soap, and Formula 409. You are currently viewing the archives for June, 2012 at Woven-Words.